In this article, you'll find how to move the Weglot button on your website. 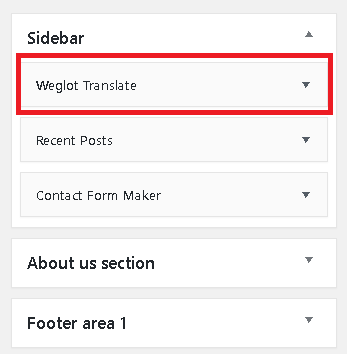 By default, the Weglot button will appear at the bottom right of your website. There are 4 options to move your button. You can place the button in a menu area. Click on "Save Changes" and refresh your website. The Weglot switcher is now on your main menu. These widget areas depend on the theme you're using. This is the author of the theme who sets these areas. Refresh your website, you'll see that the Weglot switcher is now in the selected widget area. 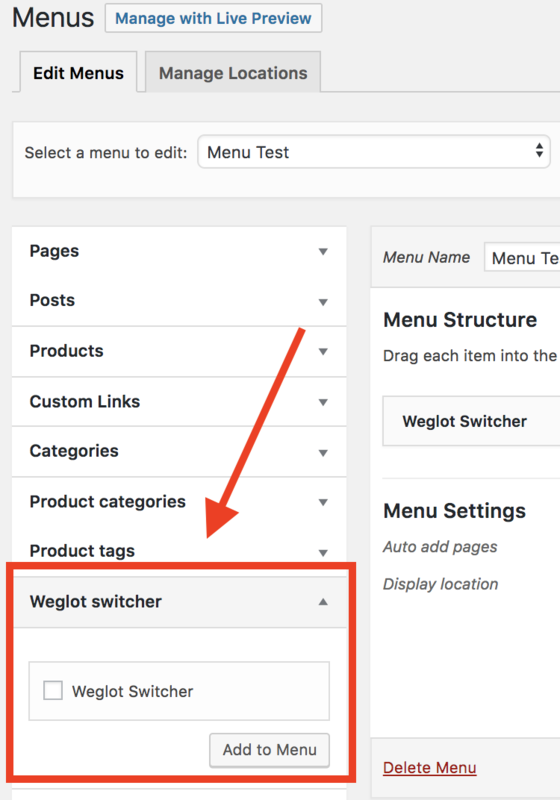 Go to your WordPress Dashboard > Pages or Posts and add [weglot_switcher] wherever you want. The Weglot button will appear directly on that page. If you're familiar with WordPress and if you know how to access to the source code of your website, you can add this HTML tag: <div id="weglot_here"></div> in the HTML code. Then, the Weglot switcher will appear directly at this place.